Outperforming all other regulators commonly used for cutting, the Ultrathermics oxygen regulator provides users with the high volume necessary for underwater cutting operations. Maximising the efficiency of Ultrathermics cutting rods, the Ultrathermics oxygen regulator is tailor-made for this product line with specified high-flow characteristics and compatible pressure ranges. 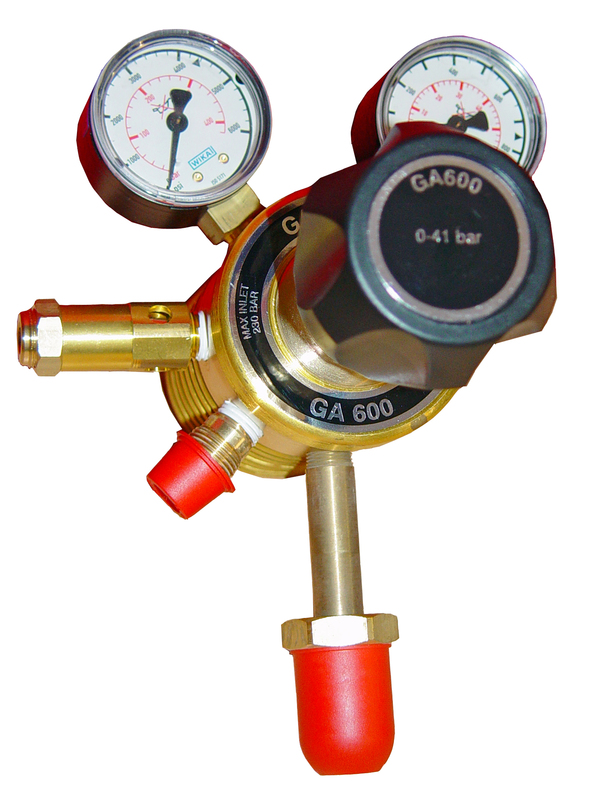 Cleaned for oxygen service ensuring safety and peace of mind, the regulator's smooth and easily adjustable pressure control provides accurate and fine control of the supply gas enabling faster and cleaner cutting of the work piece by the diver. Providing an extremely high flow, the Ultrathermics oxygen regulator accepts inlet pressure of up to 230 Bar (3400 psi) and outlet pressure 0-40 Bar (580 psi).